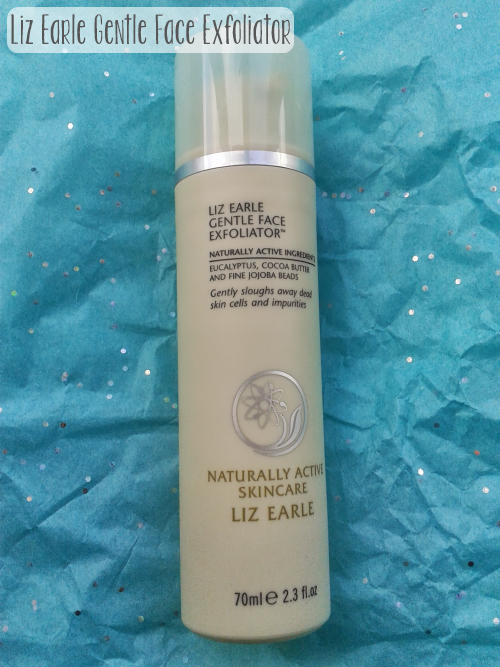 It seems like a long time since I've written a product review, but when I was asked to review the Liz Earle Gentle Face Exfoliator, I couldn't say no, because I'm a growing fan of the couple of Liz Earle products that I've bought in the past, and I am always on the look out for exfoliating products. The packaging is typical of what I'd expect from the Liz Earle range, as it is basically the same design as the Cleanse and Polish Cleanser that I bought for my mum a while back. Eucalyptus is said to have antifungal and antibacterial properties, however some research has suggested that Eucalyptus can also be irritating to the skin, which is a little off-putting. However, Liz Earle use it for its cooling properties, which does appear to contradict the irritant claim by some websites, so I'm choosing to stay open-minded. Cocoa Butter is an emollient that is incredibly moisturising and is proven to improve the skin's elasticity whilst boosting collagen, which is great for preventing the signs of ageing and keeping skin healthy. So it is typically considered as a very good ingredient, especially in face care products. The cocoa butter is probably what makes the overall product so creamy in texture. Jojoba is typically considered to be a good ingredient, however exfoliating beads have received a huge amount of bad press over the past few months - especially across the pond, in the States - over the "fact" that they are bad for the environment, and apparently pollute lakes. I don't know enough facts to comment on this, but - on a personal level - I'm quite fond of exfoliating beads. 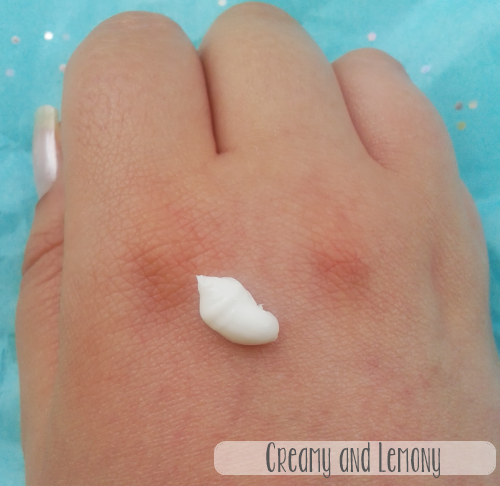 Liz Earle's Gentle Face Exfoliator is a lot creamier and thicker in consistency than any other exfoliator that I've tried, in the past and I have to say that I'm quite fond of that. It makes it feel more moisturising to the skin instead of drying it out, which is a common pet hate of exfoliators for me. My favourite bit about this exfoliator is actually the smell. It's got a light scent of what smells like lemons to me and I really like it. I'm not generally a fan of scented skin care products, but this is just subtle enough to not irritate me. 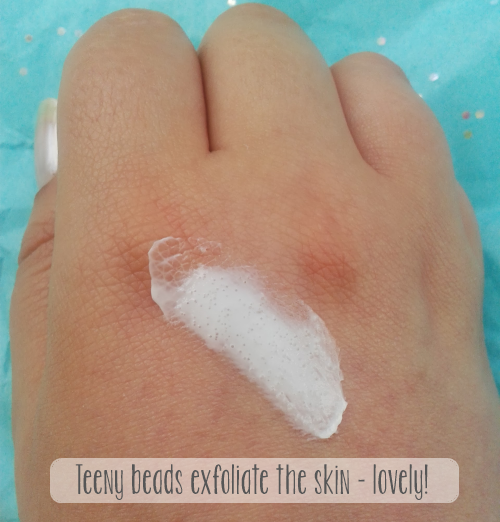 The jojoba beads exfoliate incredibly gently, and don't leave the skin feeling sensitive, which is something that I've experienced with some products that have left me skin feeling like it's been rubbed raw, and I don't even have sensitive skin. I'm really fond of this exfoliator, because it smells nice and is genuinely gentle on my skin without drying it out. I'd recommend this product for anyone who wants a product that exfoliates lightly. If you're looking for a product where you can really feel that you have exfoliated your face, then this might not be the one for you, because it really is gentle. The most affordable option - for those of us on tight budgets - is the 15ml Tube which costs £5.50. The next option is the 50ml Tube which is £9.75. The size that I received was the 70ml Pump, costing £14. You can also buy three 70ml Pumps for £39, saving you £3. I guess if you really love the product, and know that you intend to stick with it, in the future, this could be tempting, but personally I'm not sure that a £3 saving is enough of an incentive to buy three in one go. Buy from the Liz Earle website. This looks lovely :) I've often thought about ordering this but have never quite made it to the checkout. I think that the 15ml Tubes are great if you're unsure about buying, since they're not too expensive. Then if you like it, you can get a bigger one - or not, as the case may be!